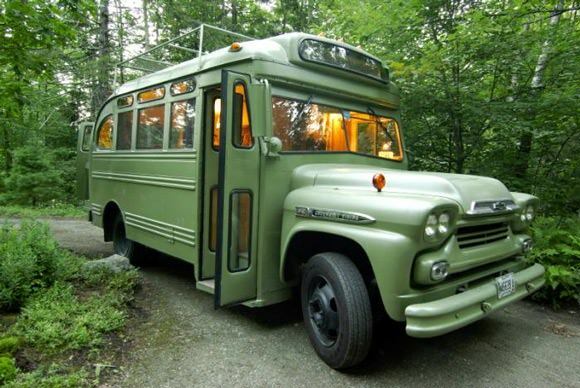 A vintage bus converted into a guest house, tiny cabins, and more to fuel your Friday escape plan. Happy trails! 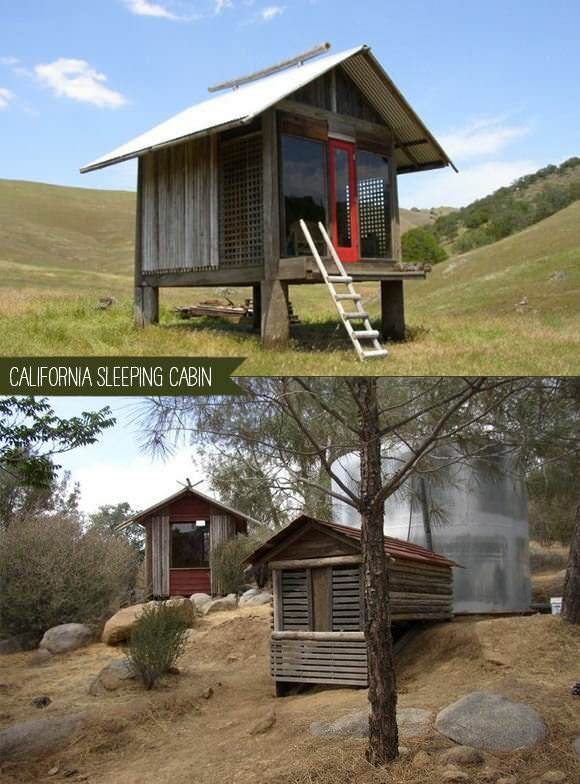 Situated on 40 remote acres in California, this sleeping cabin was built entirely out of reclaimed materials by Victor Summers of Simple Shelter Texas. He also built a second structure (used as a meditation room) and a pump house made to look like a cabin. This little cabin is built on a small utility trailer so you can take it with you wherever you go. Need proof that it’s actually livable? Designer Jay Shafer lived in one for a year before selling it to another couple. 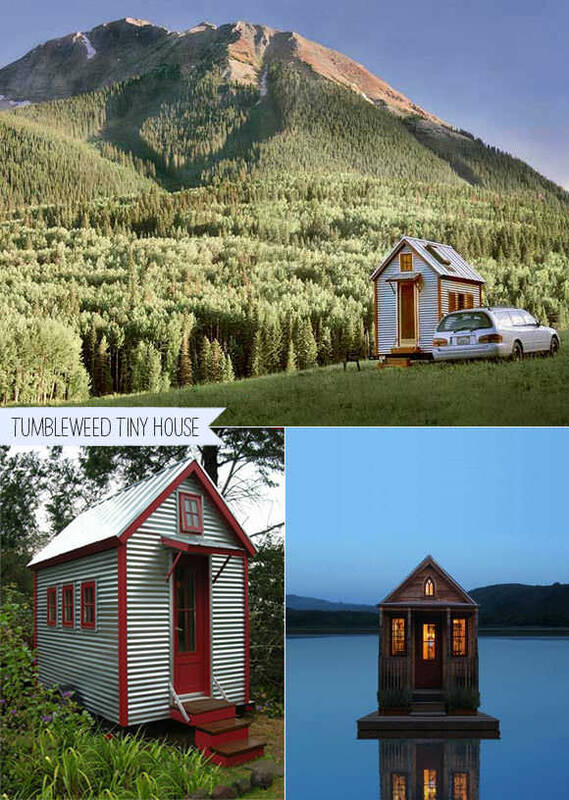 Plans for this home and more are available at Tumbleweed Tiny House. I love all these little escape homes. 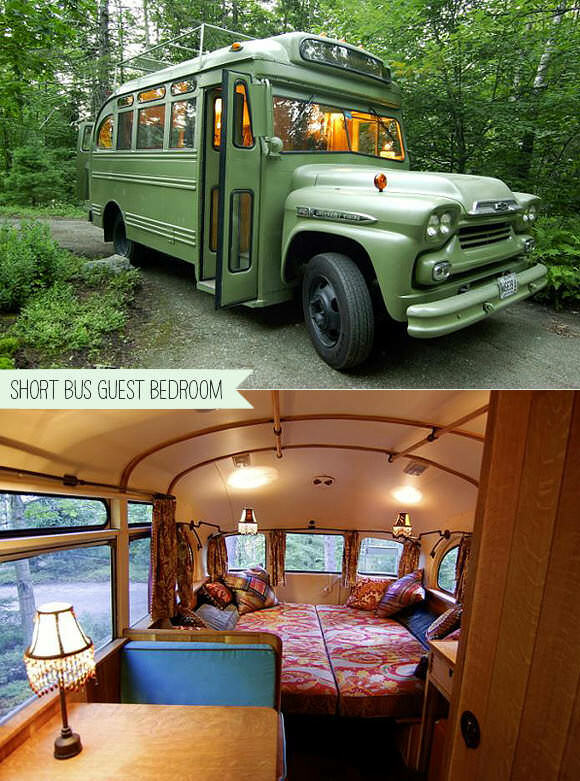 The renovated short bus is my favorite, but the little trailer cabin is just amazing. Man, I would love to have a bus like that! It would take it all over the place!